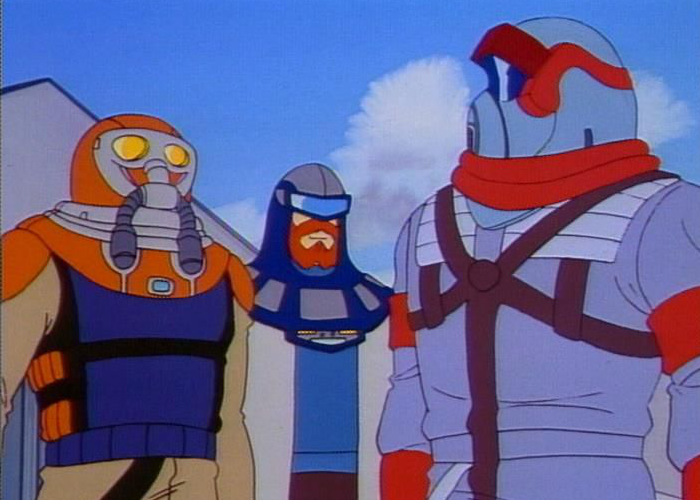 There was this comedy web cartoon called Cheat Commandos, whose tagline was Buy All Our Playsets And Toys! 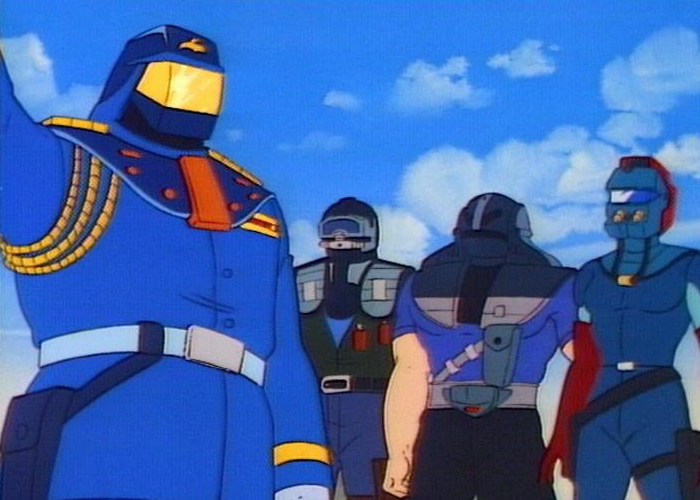 If you’re at all a fan of this era of tv, and I guess somehow I am, you might be inclined to remember this as being connected to the GI Joe cartoons of the time – which Cheat Commandos very clearly connects to. The toy lineup for GI Joe was ubiquitous, too, row upon row of them in the toy stores or the aisles of supermarkets, little toys designed to make kids happy and also extract their pocket money. This was the Reagan Era of media, the period when advertising directly to children was deemed Okay Now. GI Joe wasn’t actually a brand made for this – that’s a toy line that existed since the fifties, a venerable senior of the merchandise wars. When deregulation hit the toy media market, it wasn’t GI Joe that shifted over first. Heck, it wasn’t first out of the gates; the very first media like that was stuff like The Gummi Bears, which happened because Disney could make a TV show that fast to try and sell plush toys (I understand). There’s almost always something there. Moviebob recently stated in Really That Good that the Transformers movie being good may have been an accident but its accidental existence doesn’t change the fact the movie is good. 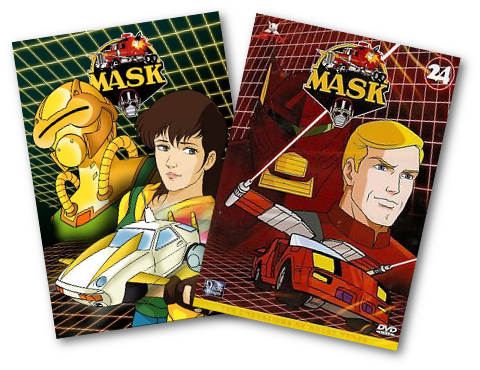 Looking back on Silverhawks and Thundercats shows some drop of something that’s there, worth talking about, worth revisiting. That’s why going back and rewatching M*A*S*K has been astounding. There’s almost nothing in M*A*S*K to talk about! If you want to remark on anything in this series it has to be the naked emptiness of it, the way its enormous cast of characters had three and a half personalities between them. Or maybe the way its racial diversity is somehow more represented by white guys doing accents. 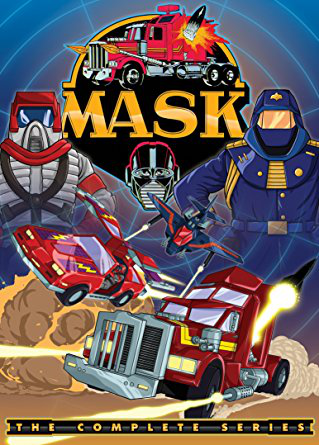 You could try and build something out of the way that several of the characters are the same basic person, or the way the series gave its most boring, easiest voices multiple new masks and vehicles. I think the one thing in M*A*S*K that really stands out to me as interesting, the one thing this series does that’s kind of cool is when the M*A*S*K signal calls, every member of the squad is shown interrupting whatever they’re doing, no matter what, and bailing. This gives a chance to show that the character is a character, who has something going on – like you see Bruce bailing on a meeting with other inventors, or Alex rushing a pet feeding. That’s almost all you get to demonstrate anything about the characters, though because after that point, they are nothing. M*A*S*K doesn’t have characters, it has the accents Doug Stone can pull off. What I’m saying is, when people joke about a TV Show, from the 1980s and early 90s with interchangeable, underdeveloped nothing characters who existed to only advertise and encourage the sales of toys to children, they’re almost certainly talking about M*A*S*K.
Please, if you enjoyed, share on the web! Something I Like: The Show! If you like Talen's work, you can support his work on Patreon! If you already do, thank you so much!If you want to do a one-time payme Paypal him a buck or two below.